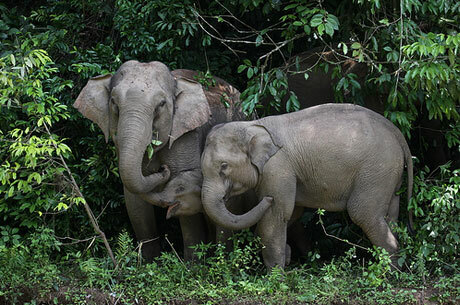 South India is a major circuit in Indian Wildlife Travel. 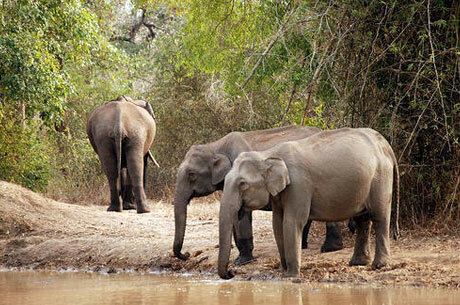 An Indian Wildlife Tour will not be complete without visiting the national parks of South India. 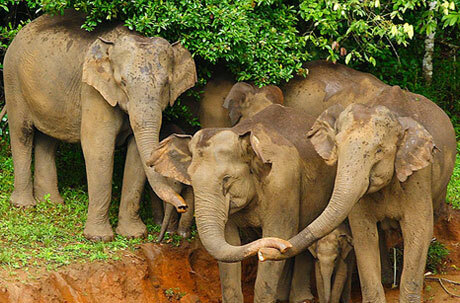 South India Wildlife Tour will include three states Karnataka, Tamilnadu and Kerala. The trip will also include the historical sites of Mysore city especially Mysore Palace, which is one of the biggest palaces of India and finest too. 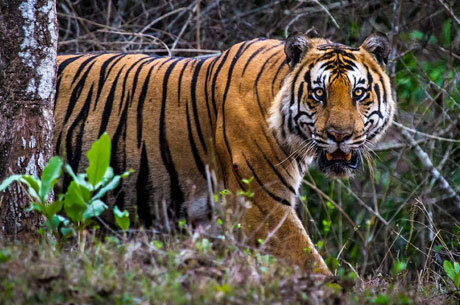 Nagarhole National Park or Rajiv Gandhi National Park is an ideal tiger reserve for tiger safari in India. 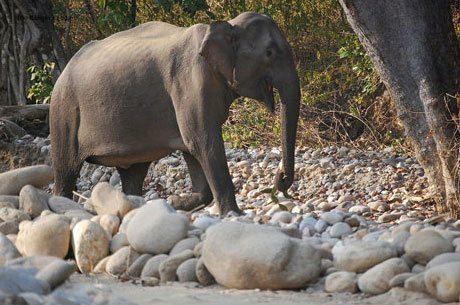 If lucky, you can track the Indian Elephants on the banks of Kabini River. Safari Tours in India and that too in Southern part will always be covering Bandipur National Park as it is a prominent tiger reserve and offers maximum changes to see Royal Bengal Tiger in South India. In B.R. Hills, you will see gaur families, herds of elephants, the bears and the leopards. This tour would also pass through Nilgiri Mountains and you will get the opportunity to visit picturesque hill stations of Ooty and Munnar. 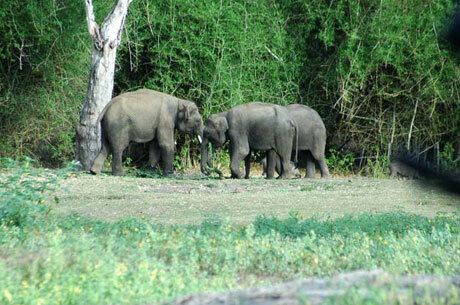 Eravikulam National Park is probably the best wildlife park of India to view Nilgiri Thar. 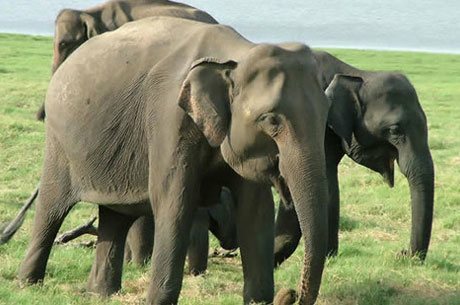 While taking a boat ride over Lake Periyar in Periyar National Park, one can easily witness Wild Elephants, birds and wild boars. Nilgiri Hills are full with spice and coffee plantations, which increase the overall nature experience of South India tour. The tour will finish with unforgettable birding experience at Kumarakom Bird Sanctuary, as it is quite famous for birding tours in India. We will transfer you to the airport in the morning, to take a flight to Bangalore. Arrive in Bangalore and transfer to heritage city Mysore. Check in upon arrive to the hotel in Mysore. Afternoon, take a guided tour covering Chamudni Hills to see a big Nandi Bull made of one rock hewn. Also visit Mysore Palace – South India’s best palace. After having breakfast, transfer to Nagarhole National Park or Rajiv Gandhi National Park. Arrive at Nagarhole, check in to the hotel. 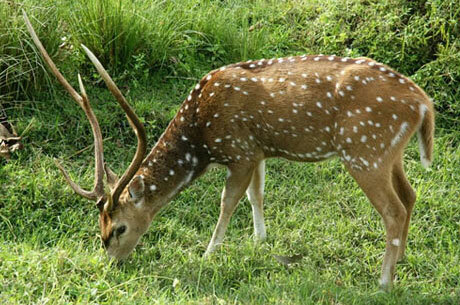 After lunch, take the wildlife safari in the Nagarhole National Park with our expert naturalist. In the evening enjoy one of the wildlife movies. Stay overnight in a wildlife resort. In the morning, drive to B R Hills (Biligiri Ranganna Hills). Once you will arrive you will feel the freshness of tree covered hills. Check in and have a hot lunch. After having a refreshing cup of tea or coffee, our expert naturalists will take you to the jungle though the jeep. During this safari you will encounter various gaur families, few herds of elephants, the bears and if lucky the leopards hanging on the trees. Evening is kept free to enjoy a wildlife movie. Stay overnight at wildlife camp. In the morning wake up with listening the songs of mynas of the hill and greet the beautiful misty morning sipping a cup of tea. Take another ride through the depths of the wonderful jungle which might give you the opportunity to see the ruler of the jungle the Tiger and also the sloth bear. Later take the breakfast at the Gol Ghar. 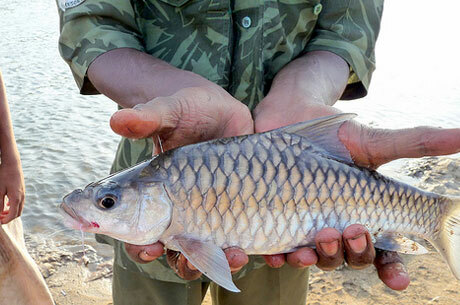 After lunch take an afternoon jeep safari along with our naturalist to track the various wild animals. In the evening enjoy the wildlife movie. Stay overnight at wildlife camp. After breakfast, transfer to Bandipur National Park, also famous as Bandipur Tiger Reserve. Arrive at Bandipur and check in to the wildlife lodge. After taking the lunch, take a jeep safari in the park with our expert naturalist. In the evening enjoy one of the wildlife movies. Stay overnight at the wildlife resort. After having tea/ coffee, join a nature walk with the naturalist in Bandipur Tiger Reserve. Later, take an afternoon jeep ride in the park to see different wild animals. Stay overnight in the wildlife resort. Today, take one more jeep safari in the morning. After breakfast depart for picturesque hill station of Ooty. Arrive in Ooty and transfer to your hotel. Rest of the day is proposed free to appreciate the natural beauty of Ooty surrounded by Nilgiri Hills. Today, take one more boat ride on Lake Periyar to see some more wild animals if lucky you might see the herds of wild elephants. During the day, join a spice plantation tour with our guide. Stay overnight in the jungle resort. Today depart for Kumarakom – the exotic destination of Kerala known for its backwaters. On arrival in Kumarakom, check in to your hotel. Rest of the time is free at leisure. Stay overnight in the backwater resort. In the morning enjoy the backwater cruise. Later in the afternoon, take an excursion to Kumarakom Bird Sanctuary. Stay overnight at the resort.